York Nuclear Bunker, a great day out about nuclear war? The Kromek Team don’t just think about radiation during the week but also during the weekends. 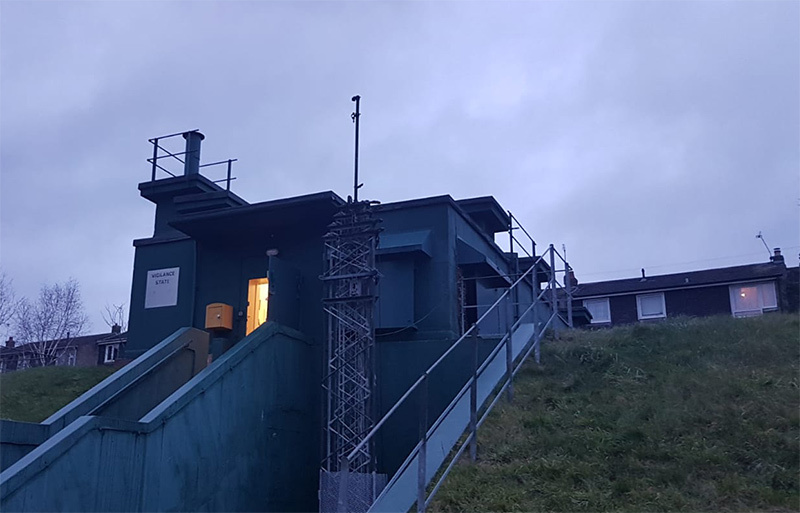 Since the end of the Cold War several once-secret nuclear facilities in the UK have become declassified and one, the York Cold War Bunker is now owned by English Heritage. English Heritage usually looks after ex-military sites that are a little older, like Roman Forts on Hadrian’s Wall. 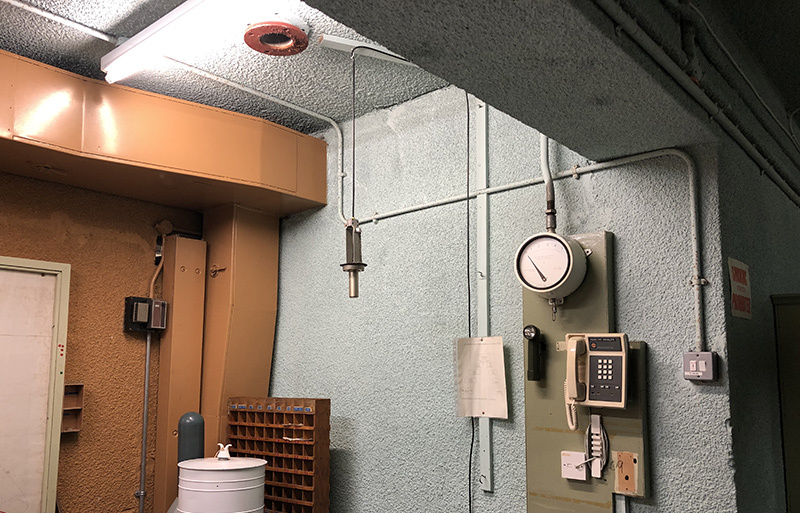 Rachel Brown, one of the Kromek Team that look after our distribution channel, visited the York Bunker last weekend to have a look at the vintage radiation detectors, fax and telex machines. Rachel was accompanied by her, in his words: “long-suffering husband” on the guided tour around the bunker. The radiation detectors on display were simple Geiger counters – still used today. Geiger counters have been superseded by gamma radioisotope detection devices like the D3S and GR1 which can identify the radioactive isotopes you are encountering and in the case of the GR1 can fit in the palm of your hand and for the D3S on your belt. 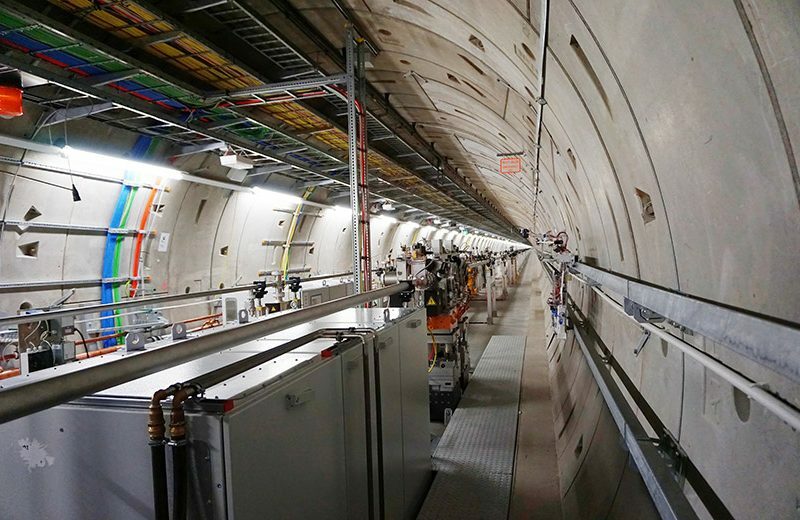 The bunker was designed to monitor radioactive explosions and calculate the estimated size in megatons. 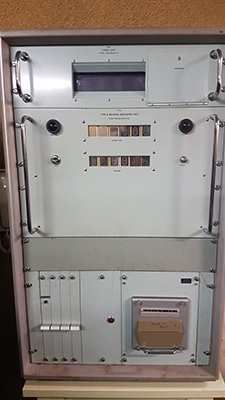 It used a system called AWDREY (Atomic Weapons Detection Recognition and Estimation of Yield) which was also connected to other bunkers throughout the country – similar to the current US SIGMA network which connects radiations detectors ranging in size from large to pockets sized (like the D3S). AWDREY was designed to operate alone if no one made it to the bunker during the four-minute warning. Anyone who was an adult in the UK during the Cold War will remember the four-minute warning, this was the time between a missile launch detection and impact on the UK. AWDREY was built to last and still operates today and registers the light bursts of fireworks on Guy Fawkes Night on 5 November. The bad news for the people in the bunker (other than the bad news of being involved in a nuclear war) was that it was only designed to last 30 days. After a month of watching nuclear bombs rain down on the UK, the bunker-dwellers would be sent out into the nuclear wilderness to fend for themselves as best they could. The only advice they were given was to put a handkerchief over their mouth and nose. 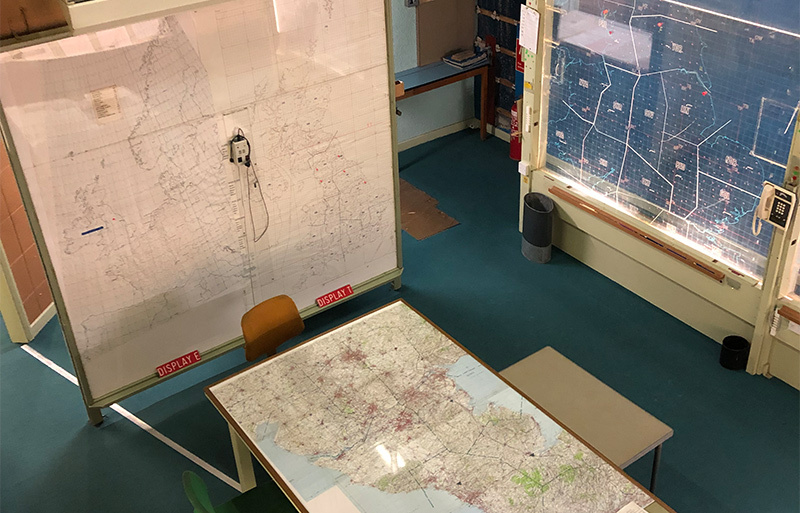 Visiting the bunker shines a light on what was a highly secret time in the UK’s history and lets you experience the atmosphere of the Cold War. We cannot recommend it highly enough.